Are plastic alternatives any safer than BPA? You've probably heard by now that you should stay away from BPA. But you could be carrying around another endocrine disrupter that's just as bad. Bisphenol A, or BPA, is a plastic the FDA has now banned in infant formula and water bottles because research has linked it to a number of neurological and other health problems. BPA received a lot of bad press, so bottle manufacturers have replaced BPA with a different chemical, BPS. The problem is BPS is no safer than BPA. 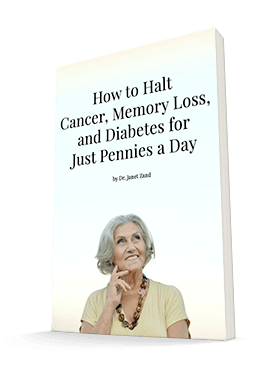 Two groups of researchers presented findings at the joint meeting of the Endocrine Society and the International Congress on Endocrinology. Their evidence showed that BPS affects both the heart and the developing brain. Deborah Kurrasch, PhD, of the University of Calgary in Canada, points out that "BPA-free does not mean bisphenol-free." She suggests that replacing BPA with a different form of the chemical is likely not going to solve problems. BPA has been linked to disorders including reproductive problems, obesity, and behavioral issues. And no one has tested the BPA analogs for safety in humans. To find out about BPS's effects, Kurrasch studied zebrafish brains. And Hong-Sheng Wang, PhD, of the University of Cincinnati, studied rat hearts. Kurrasch focused on zebrafish embryos that were in their second trimester, which is a very important time for brain development. Her team found that neuronal birth increased compared to normal development for the zebrafish whether they were exposed to BPA or BPS. As they followed the zebrafish, the researchers noted that the ones who had been exposed to BPS were more hyperactive than those who hadn't. This suggests that BPS could have long-term effects on the brain. The team concluded that "BPS is equally harmful in developing brains" compared to BPA. Wang and his team looked at how BPS affected rat hearts. They stimulated two groups with catecholamine, which imitates the effects of stress. They also exposed 50 hearts to BPS and left 30 unexposed as a control group. The group exposed to BPS demonstrated increased heart rate and arrhythmias in the female rats. Male rats did not experience the same issues, and Wang and his team aren't sure why. They also saw that BPS affected how the rats handled calcium. Although the results haven't been replicated in humans, Kurrasch and Wang agree that chances are good BPA and BPS are both dangerous for us. So what should you do? Take steps to limit your exposure. For example, printed receipts and paper money are high in BPS. Don't take them unless you have to and handle them with care if you do. Fiore, Kristina. 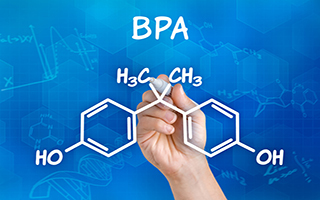 "BPA Alternative May Still Have Endocrine Effects," MedPage Today, June 24, 2014.